After years of negotiations, the South Farmingdale Water District has finally received the $14.55 million settlement sought from the Department of Defense (D.O.D.) to protect the District’s water supply at Plant 1 on Langdon Road in Farmingdale. The District would like to thank U.S. Senator Charles E. Schumer (D-NY) for his tireless efforts on our behalf, which prompted the Department of Justice (D.O.J.) to review and approve the settlement agreed upon by the United States Navy and SFWD. As many residents are now aware, the U.S. Navy operated the Naval Weapons Industrial Reserve Plant in Bethpage, New York for several decades that resulted in soil and significant groundwater contamination containing volatile organic compounds. In a prior commitment, the Navy agreed that if contamination from their site was identified in SFWD outpost monitoring wells, they would pay all future costs of the necessary treatment facilities or replacement wells. In 2004, those SFWD monitoring wells indicated potential contamination from the naval site at levels above the trigger values agreed to by the Navy, the Department of Environmental Conservation (D.E.C.) and SFWD. In an effort to maintain a seamless delivery of high quality water to our residents and address the impending contamination threat, water treatment systems at two SFWD public water supply sites (Plant 1 and Plant 3) were proposed; including the recommendation to begin construction at Plant 1 immediately. Since official deadlines had passed to initiate construction, and SFWD had still not received funds from the D.O.D., a bond issue was approved by the Town of Oyster Bay to cover the costs of construction and maintenance of the treatment system as an interim measure. 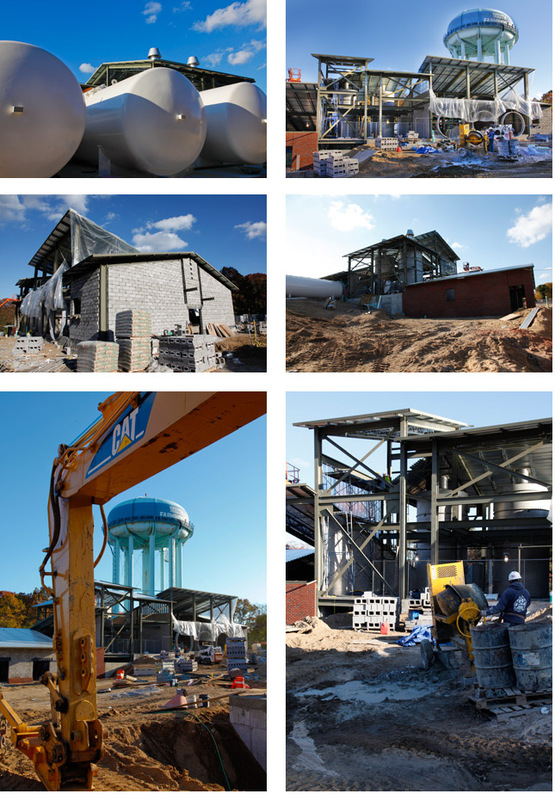 Construction of the water treatment system began in Spring 2010 and is scheduled for completion in Spring 2011. The continuing good news is that the water treatment system will be completed in time to avert any negative effects on the District’s water supply. What’s more, SFWD is in negotiations with the D.O.D. to cover all construction, operating and maintenance costs for the water treatment system to be constructed in the near future at Plant 3.